I am getting pretty close to finishing my custom programming language, which will be integrated into my Memory Hacking Software software. However, I need to really document this language in its fullest, and while I am at it I need to actually document my software too. Iâ€™m doing my own searching as we speak, but I am also asking around if anyone knows any specific free-but-good CHM editor. Does anyone know any specific free-but-good CHM editors? Ironically, you could probably make one in your new language! 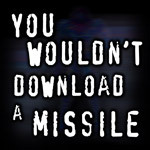 In other news, you might check download.com for something. Page created in 0.025 seconds with 20 queries.